Tower Tiles is a simple minimalist mind-bending addictive puzzle game. Tower Tiles is beautifully designed puzzle game of tile stacking that will twist your mind inside-out. Click on the board to move adjacent tiles to the vacant spots until you have got them all stacked. Your goal is to stack all the pieces into a single stack. Click a tile to move adjacent pieces to that spot! Tap on Tile to move adjacent pieces to spot. 1. The game is very simple. 2. 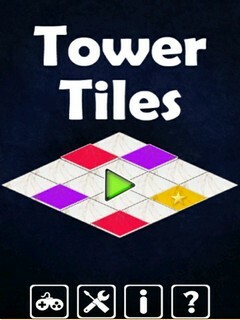 Tower Tiles is Beautifully designed puzzle game. 3. The best results for each level. 4. All ages play this game. wwe smackdown vs raw ..
age of empires 2 by s..